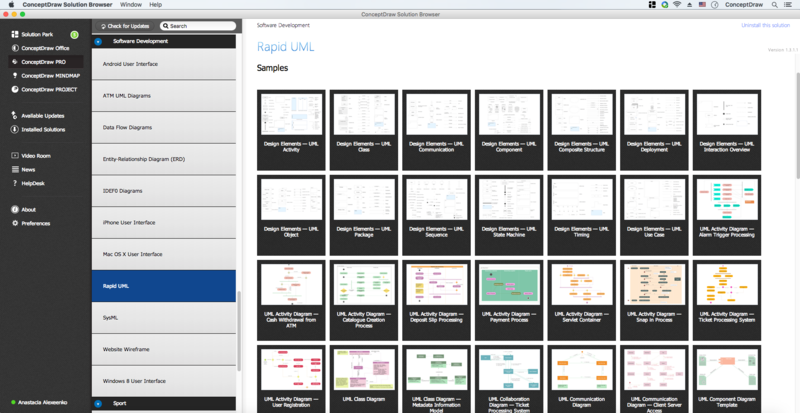 ConceptDraw has 393 vector stencils in the 13 libraries that helps you to start using software for designing own UML Diagrams. You can use the appropriate stencils of UML notation from UML Activity library with 37 objects. 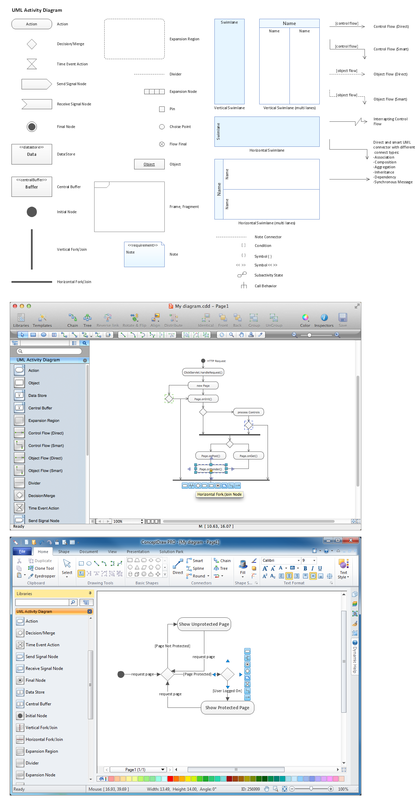 ConceptDraw Rapid UML solution delivers libraries contain pre-designed objects fit UML notation, and ready to draw professional UML Activity Diagram. 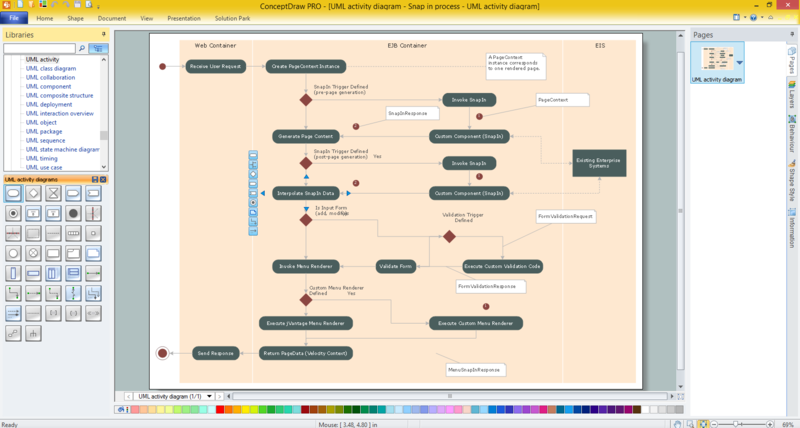 UML Activity Diagram illustrate the business and operational step-by-step workflow of components in a system and shows the overall flow of control.